IPPY Winner! Get the word out about your recent success quickly, easily and effectively! -Exclusive exhibit space in BookExpo America's New Title Showcase. 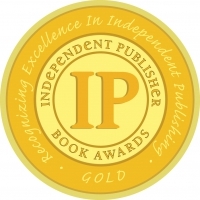 We'll be positioning all IPPY nominees and medal winners together in our own IPPY display within the showcase. ***LIMITED SHOWCASE AVAILABLE, PLEASE CONTACT ME BY APRIL 30 TO RESERVE YOUR SPOT!